I’ve realized the meaning of your love. It baffles me I didn’t realize it before. But it’s not just your love. The very essence of your being, Speaks to me in my dreams. And would you like to know what it says to me? It say’s this is where you need this is where you should and this is where you will be! It says this is where you are! 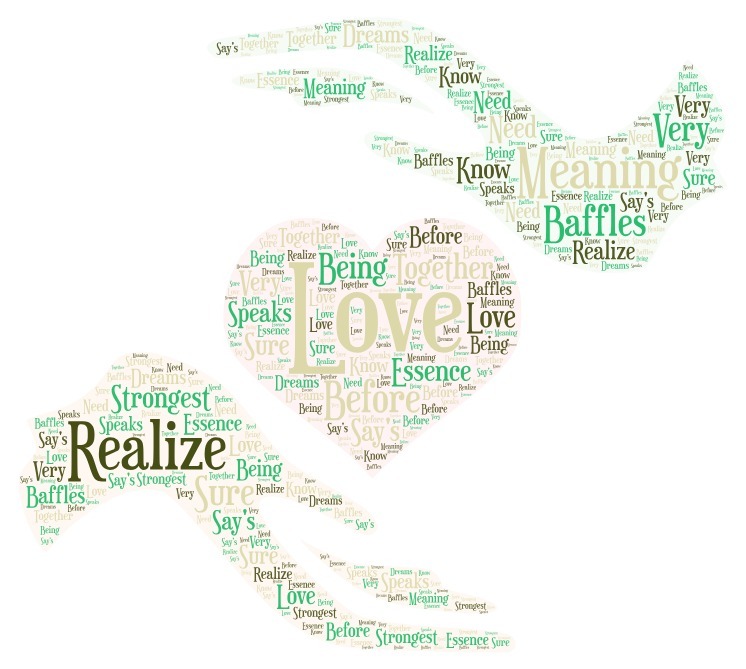 the meaning of your love….